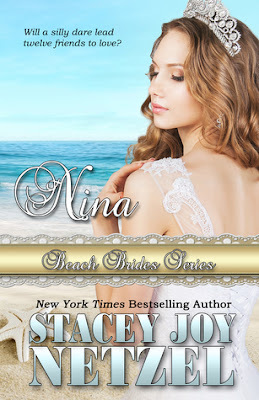 Nina by Stacey Joy Netzel is the third book in the Beach Brides series and narrates the story of Nina and her dream hero, veteran Finn Regan. I am immensely enjoying this series and cant stop raving about the beautiful romances each book in this series brings to us. Having read the previous books, I jumped right into this one and wow! I loved each second spent reading it. Despite being part of a series, this book can be read as a standalone story. All books in the Beach Brides series are separate romances featuring the individual stories of twelve friends who, on a dare, each threw a message in a bottle for their dream hero. The cover is very pretty and the blurb intriguing. Each cover that I have come across for the Beach Brides series books, they are all captivating and sure to attract readers like me who most often take their first stock of books based on the covers. I have to confess, I have a soft spot for army men and Finn, a wounded veteran, here is the perfect romance hero with his charm, strength of character, responsible nature and a heart of gold. Right from the first moment I loved him and as the story progressed, he kept endearing himself to me more and more. He is the perfect mix of a brooding, vulnerable yet headstrong hero who keeps a strong front but often hides deep wounds in his heart and when he decides on something, he gives his everything to get it. Nina symbolizes the modern woman, independent and strong. She has been hurt in the past and is gun-shy but it was most entertaining watching her fall in love with Finn but deny her feelings. The narration is fluid and well paced. 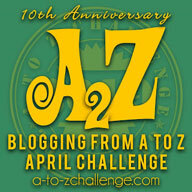 The author's writing style is engaging and she gives the readers many memorable moments. I loved how the story had me smiling, laughing and feeling the romance all through. All in all, Nina by Stacey Joy Netzel is a sweet, funny, clean and heartwarming romance that has well developed characters and a story that left me oh so giddy in my satisfaction at seeing my favourite protagonists get their happily-ever-after and also left me wanting to read the other books in this series as well the other books by Stacey Joy Netzel. 4.5 stars out of 5 to it and strongly recommended to everyone. Go read this book and the Beach Brides series. They are not to be missed! I received an ARC from the author for review and I am very thankful to her. The above is my honest and unbiased opinion and in no way influenced.